We are very happy to be welcoming another Korean giant in our shores! 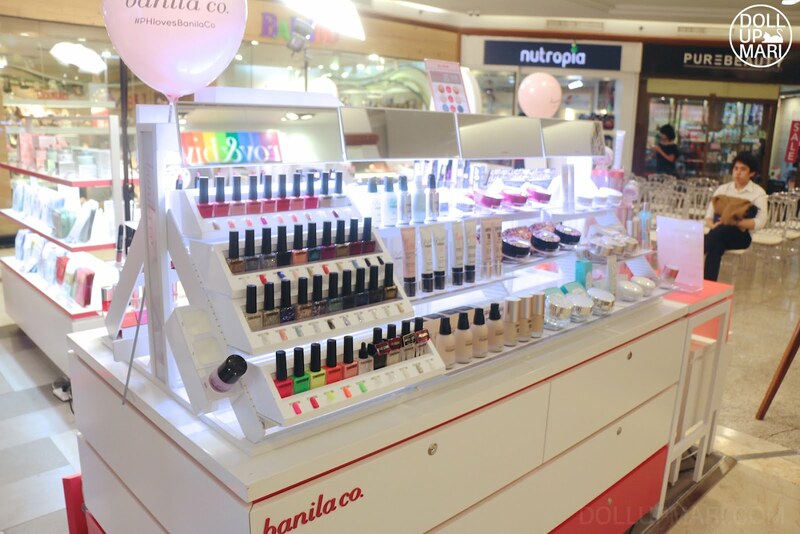 Everyone, say hi to Banila Co! 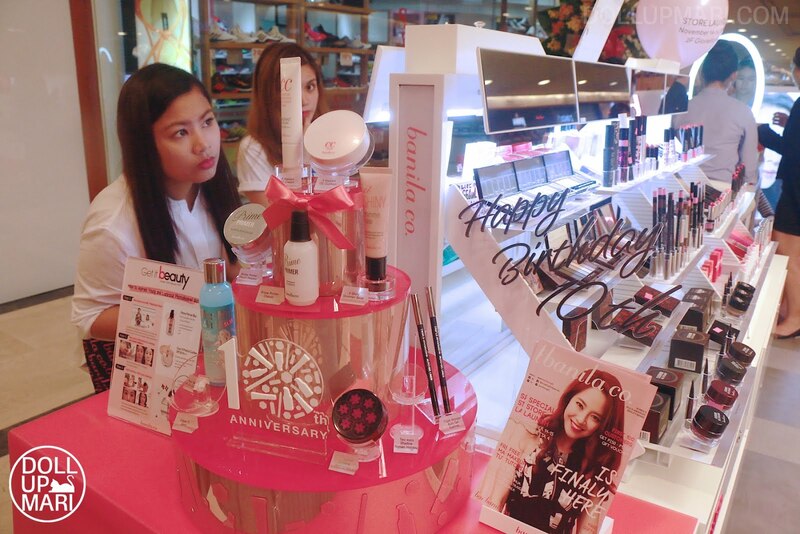 They opened their doors last November 14-15 in a grand weekend opening event in their Glorietta 4 outlet (they are located at the 2/F near Jipan, Bambu, etc.). They are planning to open more branches soon, but well, till then, it's just this one hahaha... Like I said in my mini haul post from this event, I got exposed to the brand when our family friends gifted me with a lot of Banila Co stuff last year. 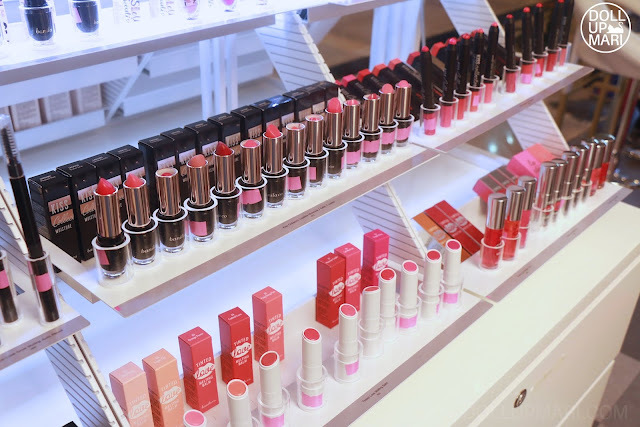 I just never got to come to blog about a lot of the products due to extreme busyness and the need to finish off my blog backlog. 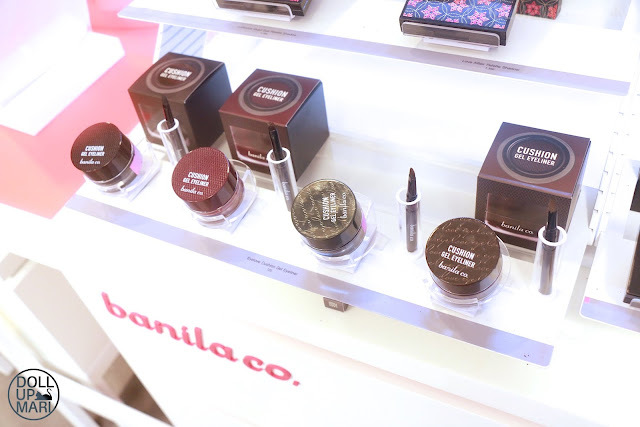 So what is Banila Co all about? Well yeah, it is a Korean brand like so many other Korean brands. 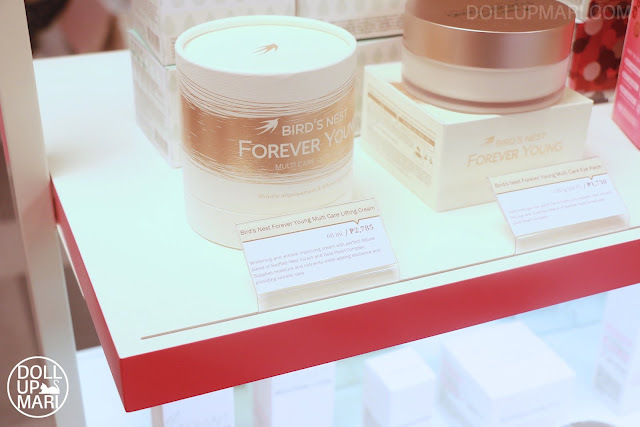 But what makes it special is that the brand is all about giving that rosy, dewy Korean glow. 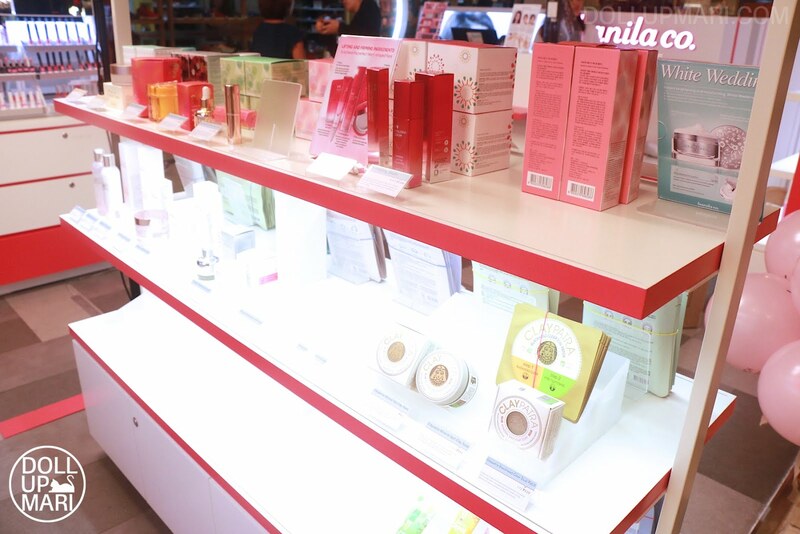 There are people who call it the Korean Benefit cosmetics, and while I think this is partly true because of the packaging and the names they give their products, I really think that Banila Co owns the equity of glowing skin. 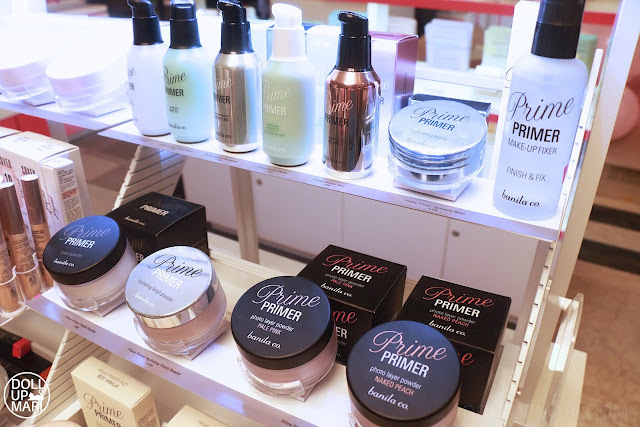 It doesn't have a lot of color makeup products (it has a lot of color makeup, but not as many products as its Korean counterparts), but it really rules the beauty world with award winning CC creams, primers, BB creams, and skincare. 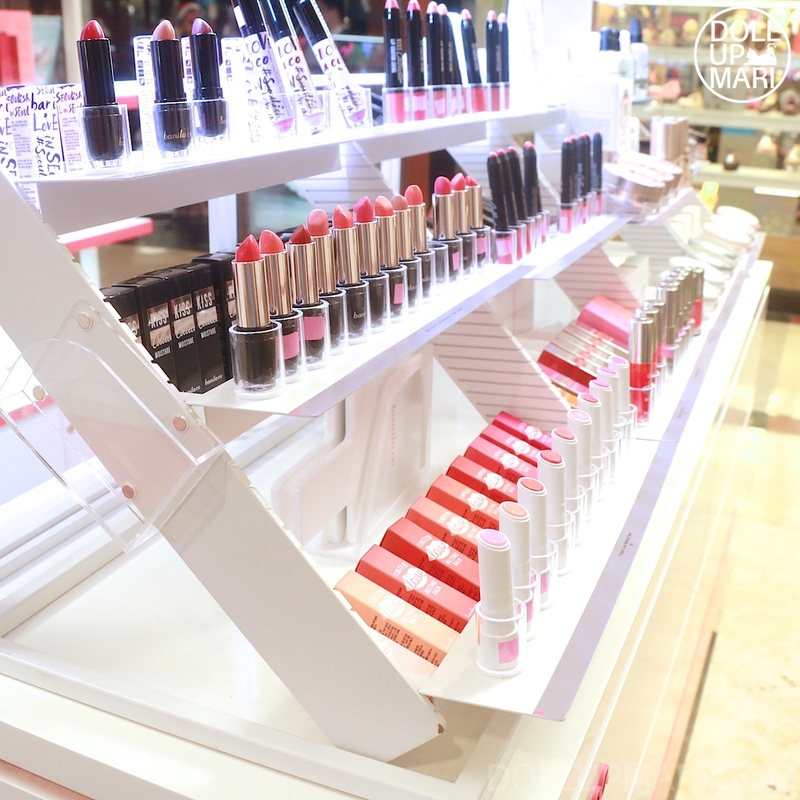 It also specializes in highlighting makeup products. So this is the store. It doesn't have a store per se, but instead it has a giant stall. 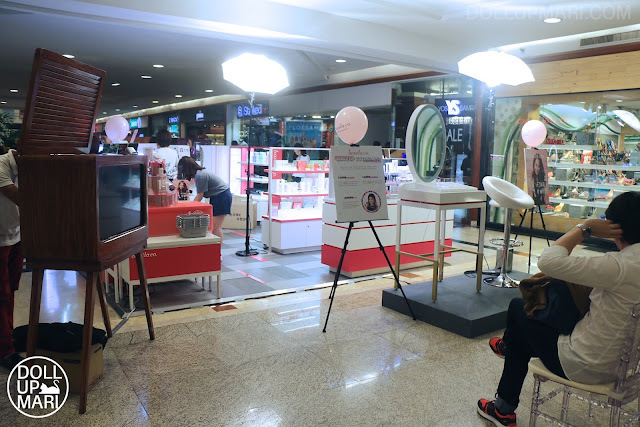 It's hard to miss because of the umbrella lights, although I'm not sure if this is really a fixture in the store or just something that they rented out for the opening weekend. This is one panel with their nail colors and cushion makeup. 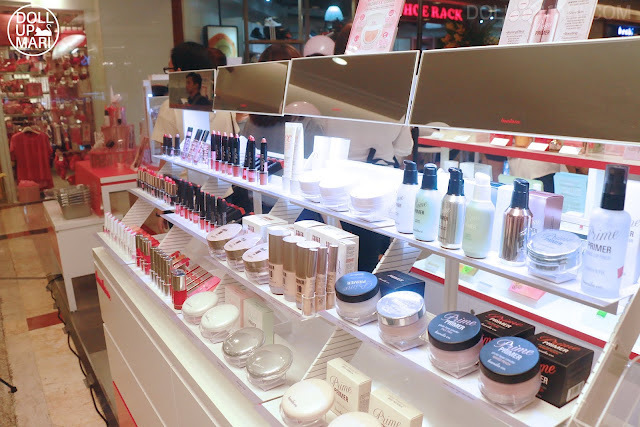 I actually never knew that they had nail products because it's the queen of skincare. 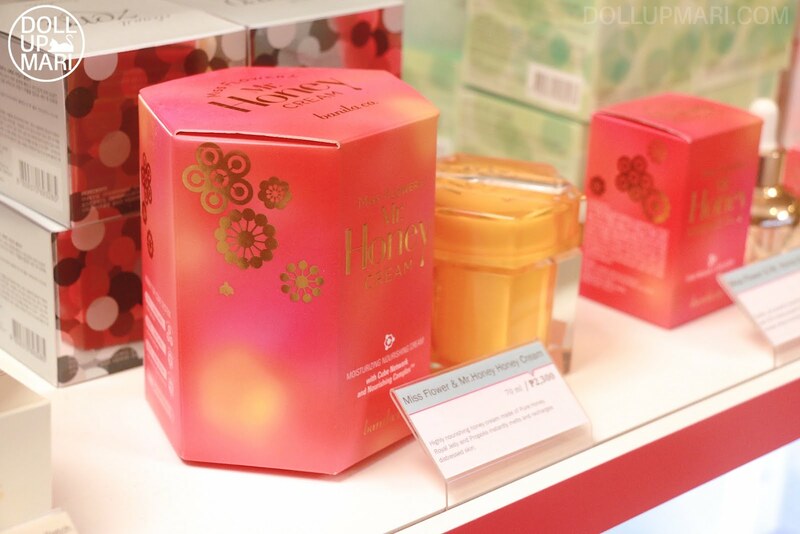 On the top of this tree are its CC creams which are so popular in the Korean beauty world. Their CC cream is so popular because it helps you get that light, glowing look. I personally cannot use their CC cream alone because my skin has too many spots and because I have extreme under eye circles, but I love mixing their CC cream into my base makeup for the day to get that boost of glow. 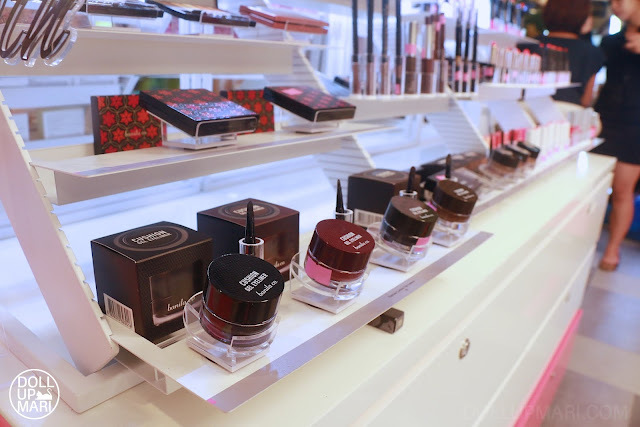 The products that really amused me are their cushion gel liners and eyebrow gels. I never thought that you could make cushion versions of those that are actually value adding for the consumer. So this is the cushion eyebrow when opened. 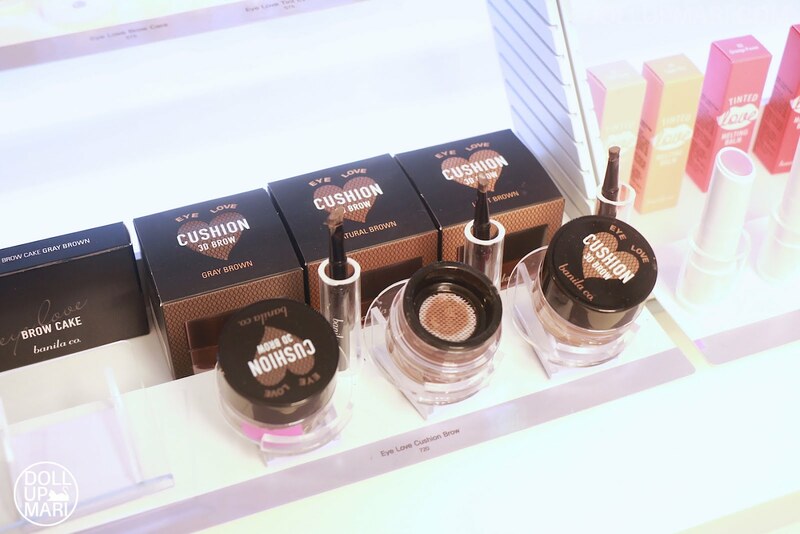 I have seen other Korean brands try to do cushion eyeliner and eyebrow products, but what they do is that it's like a BB cushion that's loaded with eyeliner as ink, so you end up getting very little product and it dries up so fast because eyeliner typically dries faster than BB cream... I'm really happy that instead, they have this brow pomade formulation that's one whole pot-full, and then there's a "stocking" on top so you can get a controlled, even, non blotchy application. This has so much more value for money because it really is one whole pot of brow pomade, not a sponge saturated with brow product. I can see myself taking quite some time to use up this product. 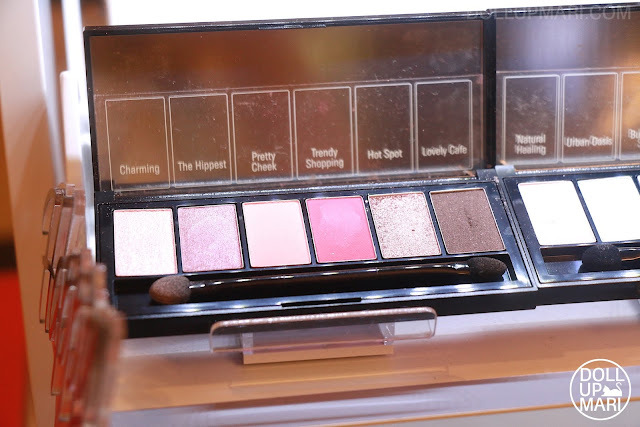 They also have eyeshadows, but more on the girly pink, brown, and neutral pearl shades. I don't see them doing crazy jewel toned colors soon. 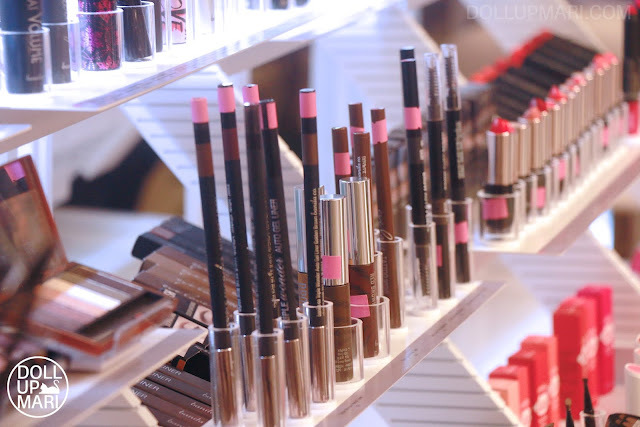 I'm just not sure though if they didn't bring in any eyeshadow single, or the brand really doesn't sell eyeshadow singles. For a complete look they also have brow mascaras, brow tattoo liners, and basic eyebrow pencils. Not pictured clearly here are their mascaras. 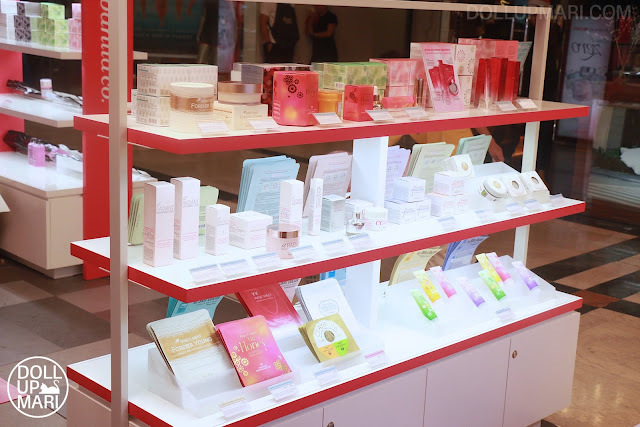 They are super famous, too, for the skincare. And more importantly, the base makeup. They are famous for their Prime Primer line which includes high definition powders and makeup primers. I love using their powders because they have powders that are colorless, and I also love the very light and silky feel they come with. The other thing in the holy grail list of so many girls are their clean it 0 cleansing balms. These products are their own kind of makeup remover. Ever since the company started selling this this has been a game changer in the industry. But right now their newest product line is their Ms. Flower and Mr. Honey cream. 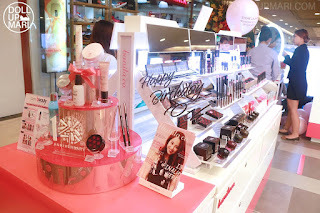 When I went to Korea this was their new product launch at the time. I was given a sample for this. This is the best smelling product in the world. I hope, though, that my experience with the sample is isolated with the sample size because my cream i the jar dried up and oiled up immediately. The full sized one is a creamy gel in a very enclosed, secure jar with a lid cover, so I think that this one is less likely to dry up or oil up. If I get to a store soon with no makeup on I'd love to re-try this product and see how it works. Amusingly, too, they have a bird's nest line. I know it's not very heard of in the Philippines, but in other southeast Asian and east Asian countries, they really revere bird's nest and eat it because of various claimed health benefits. Since this is the first day people went ballistic and wanted to shop right away. 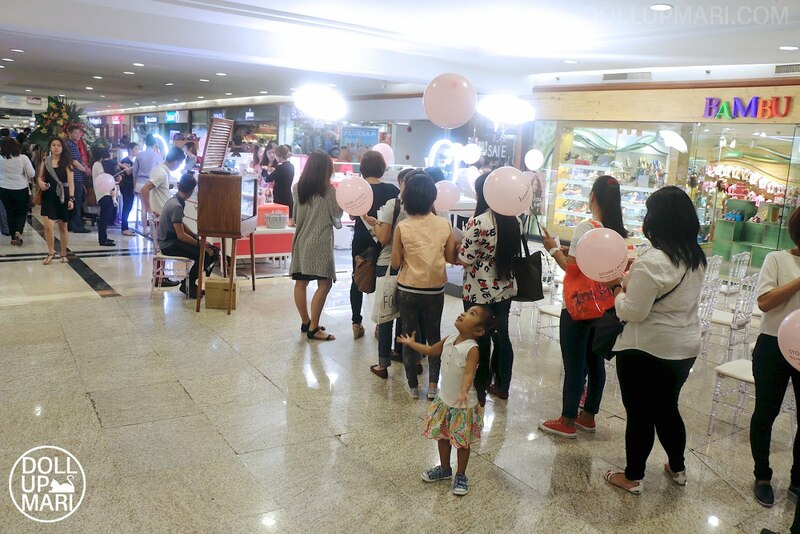 The line here is because they had a special promotion event wherein they gave out special gift vouchers for the first few shoppers. I was the first shopper in line for the sale so I got a 1000 gift certificate! Yaaaaay! Don't forget to check out their Facebook and Instagram pages! What's In The My Color Obsession Issue?